Muscle Dysmorphia (MD) is classified as an obsessive-compulsive, body image disturbance disorder that involves excessive exercise as the primary focus with disordered eating as a secondary component. The compulsion is to achieve high levels of muscularity and leanness. It has also been known as ‘reverse anorexia’ called ‘bigorexia’. Individuals with MD perceive themselves to lack muscularity and become preoccupied with trying to attain what they perceive as the ‘ideal frame’. Subsequently, they often resorting to unhealthy behaviours and substance abuse to accomplish this. Obsessive belief that his/her body should be more muscular and leaner. Significant amount of time weight lifting. Pursuing usual training regime at the expense of career, social and other activities. Significant unease or avoidance of body exposure. Presumed body deficiencies affect work performance and social life. Fear of injury that may impede training regime. Excessive use of dietary supplements. Abuse of pharmacologic substances e.g. anabolic steroids. Obsessive training at the expense of social commitments. Training despite injury and/or illness. Disordered eating patterns e.g. very high protein or low-fat diets. Who Does Muscle Dysmorphia Affect? Research suggests that 100 000 people worldwide meet the diagnostic criteria for MD. However, this figure may not be accurate as there appears to be less treatment available for this disorder compared to that of other disorders such as anorexia or bulimia nervosa. There has also been little research on the prevalence of MD in both men and women. However, it is considered to be more prevalent in males. In a study by Pope et al., called “The Adonis Complex: The Secret Crisis of Male Body Obsession”3, adolescent boy that were presented with various body types on a computer. Of these images, the majority of males chose bodies that were 30 – 40 pounds heavier than they actually were. Some boys even asked if they could make the images bigger. Even more alarming, “ a survey of over 22,000 high school students in Australia found that around 2% of 12- to 17-year-olds had used steroids “without a doctor’s prescription.” When asked why they used steroids, the boys said they wanted to “better at sport, to increase muscle size or to improve their general appearance”- (http://theconversation.com/more-young-men-using-steroids-but-do-they-know-the-harms-3021). There are many co-morbidities for MD including spending excessive time in the gym at the expense of other life and social commitments and abuse of other substances. One man was known to have missed the birth of his first child as he had to finish his 6-hour training session. Participating in activities such as weightlifting, bodybuilding and other athletic sports involving power, appears to be a risk factor where individuals have a poor sense of self and poor body image. 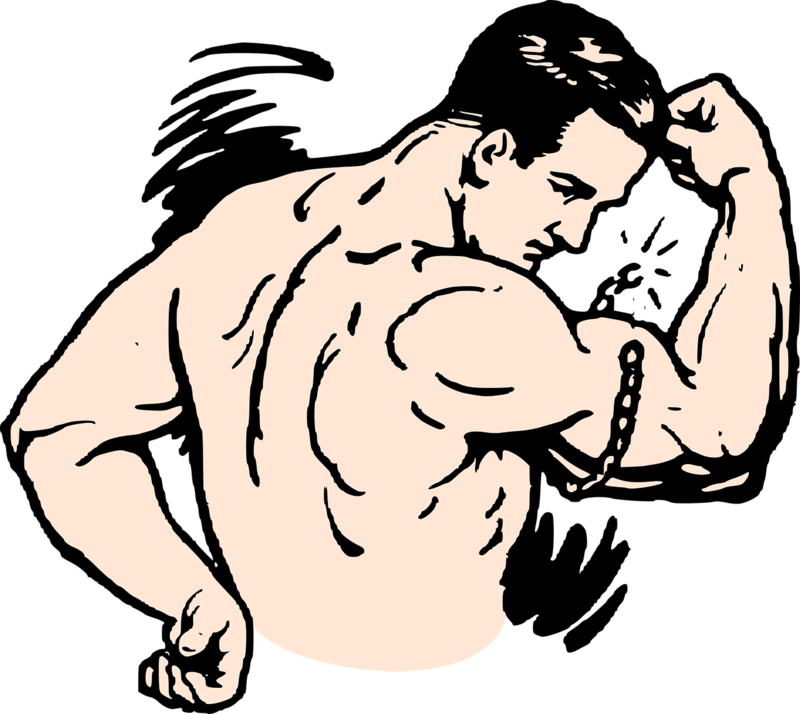 The idea of gaining more muscle to have ‘and advantage’ may lead to MD and substance abuse. Justin Rhys,( https://www.youtube.com/watch?v=Yrm87U5UkRI) was a New Zealand Bodybuilder who died of the complications associated with long-term destructive behaviours of MD. The growing number of both male and female participants in bodybuilding competitions, where muscularity and low levels of body fat are judging criteria, raises a concern for MD in both males and females. There appears to be a collision between physical fitness and body image insecurities at the expense of HEALTH. This is the case with all eating disorders. Body image is closely related to self-esteem and the effects on such an image-driven society that we have become may cause many vulnerable people to engage in unhealthy practices. Muscle Magazines, Fitness Magazines, Fitness Instagram accounts of bodybuilders and fitness models provide instant exposure to muscular, lean bodies. I am not suggesting that this is unhealthy, but what is unhealthy is when, in the name of “Health and Fitness”, obsessive behaviours take over someone’s life at the expense of physical, mental, emotional and social well-being, often resulting in medical complications, broken relationships, a poor sense of self, and even death. Leone, J. E., Sedory, E. J., & Gray, K. A. (2005). Recognition and Treatment of Muscle Dysmorphia and Related Body Image Disorders. Journal of Athletic Training, 40(4), 352–359. Muscle dysmorphia. An underrecognized form of body dysmorphic disorder.Pope HG Jr, Gruber AJ, Choi P, Olivardia R, Phillips KA – Psychosomatics. 1997 Nov-Dec; 38(6):548-57. Pope HG Jr, Phillips KA, Olivardia R. The Adonis Complex: The Secret Crisis of Male Body Obsession. New York, NY: The Free Press; 2000. 0 responses on "What is Muscle Dysmorphia?"